← 4 Pics: Were Charles Manson & his White Killer women out to murder Jews??? Can you say Photoshop? The trickery of this image was noted on another site and included the original image. What chance do us less sophisticated types have when we are fooled so easily? 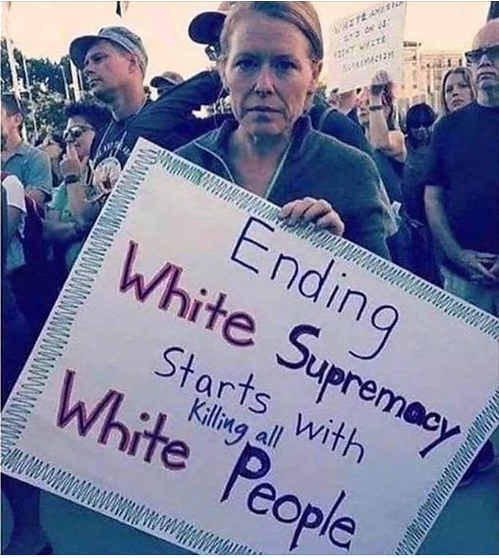 That stupid “liberated” race traitor does look familiar to me, however even THAT poster she is holding is a bit of a stretch even for the worst lefty liberal jackass – or maybe she got an extra bonus for holding this sign since it would include HER being put to death, as well.